Leaving behind a madcap, fishing-obsessed family, Gus decides to strike out on his own, taking refuge in a remote riverbank cabin to pursue his own fly-fishing passion with unrelenting zeal. 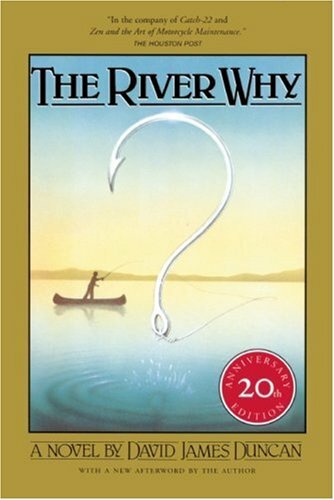 But instead of finding fishing bliss, Gus becomes increasingly troubled by the degradation of the natural world around him and by the spiritual barrenness of his own life. His desolation drives him on a reluctant quest for self-discovery and meaning -- ultimately fruitful beyond his wildest dreams. David James Duncan's first novel has gained an increasingly wide audience over the years--some might even call it a following. This coming-of-age tale of Gus Orviston's search for the Pacific Northwest's elusive steelhead, a metaphor for Gus's internal quest for self-knowledge, appeals to all who cherish a good yarn and memorable characters. Uncle Zeke's colorful rendition of Gus's conception on the banks of the Deschutes River is itself worth the price of purchase.